Unlike other social networks, LinkedIn members are looking for more than just 140 character posts, daily drink specials, coupons and check-ins at obscure locations. Seventy-three percent of its members are more confident in the professional information on LinkedIn. They value LinkedIn as a credible and exceptionally different environment and prefer to have separate networks for their personal and professional lives . They turn to LinkedIn to network with other professionals, to read industry news and research companies, and follow current industry discussions. Another aspect that makes LinkedIn so credible is the fact that its members are one of the most influential, educated and affluent on the Web. With average household earnings of $86,000, 93% are college graduates including three million MBA graduates and nearly 1.4 million Ivy Leaguers. Further, 80% of members drive business decisions including seven million C-level execs, presidents and vice presidents. According to Forbes, LinkedIn is now becoming very focused and educated about the needs of corporate recruiters and talent management professionals. 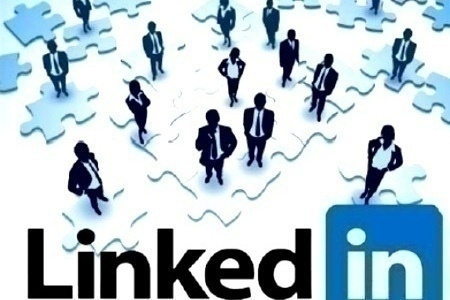 In 2012, LinkedIn became the fastest growing public provider of corporate recruiting services. In fact, 97% of all staffing professionals use LinkedIn in their recruiting efforts and 89% have filled a position using the network at some point in time. So if you’ve been challenged with recruiting quality candidates to join your real estate team, explore the staffing tools on LinkedIn and promote opportunities on your LinkedIn Company Page as well.